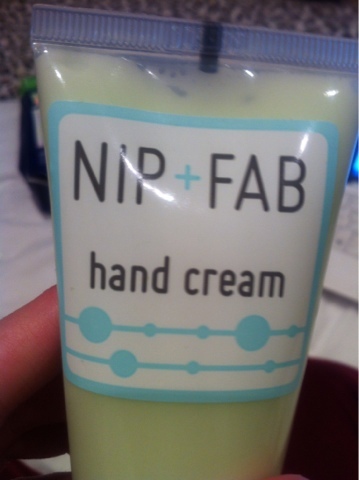 Trialing the NIP + FAB hand cream and I am already a huge fan, the smell of Pistachio and Almond is delish...anyway back to the review! 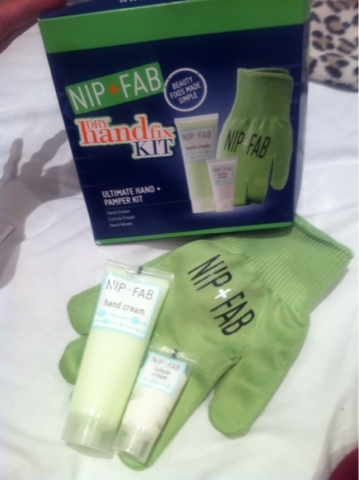 The NIP + FAB Dry Hand Fix kit is just what I need at the moment with the rubbish weather! This nifty cuticle cream uses Coca Butter + Skin repairing Allantoin to intensely moisturise and make it easy to push back your cuticles. This fab cream is infused with Olive Oil to help replenish and revitalise the skin whilst the Pistachio and Almond makes your hand smell divine. 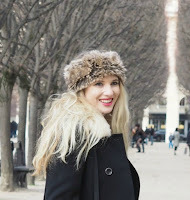 The for the ULTIMATE soft hands, slip on the NIP + FAB hand gloves overnight for ultimate softness.